Disfigurement injuries and amputations take an emotional and physical toll on victims that cannot be cured by a court settlement – only eased. Attorneys must do all they can to recover large settlements for their clients in order to ensure they are taken care of medically for the rest of their lives. Any sort of “normal” accident in Colorado – a car accident, a motorcycle accident – is bad enough. The accident brings its own emotional and physical traumas that must be dealt with. But to be told that you have to lose your leg? Or an arm? Or that your facial scars are permanent? Disfiguring injuries are a permanent physical souvenir of a horrific event. Victims are forced to face a daily reminder of the worst day of their lives, and the fact that they should face the financial burden of someone else’s negligence is highly unjust. Why should they have to pay for the privilege of their scars or lost limb? An amputation or disfigurement injury is irreversible, though scientific advances are leading to promising surgeries that might be able to restore some semblance of normalcy. Colorado has many doctors that specialize in this field of medicine. Doctors are able to reattach limbs if they are kept on ice and surgically repaired fairly quickly (within a day if possible), but given the complexity of nerves and ligaments, the limb would likely not be the same as it was before the accident. Most people make do with prosthetics or reconstructive surgery after having suffered such a critical wound and must relearn even the most basic tasks like combing hair, brushing teeth or walking, depending on what was injured. The unwanted challenge of the accident itself will also cause a new amputee or disfigurement victim to experience severe situational depression, which can take months or even years to overcome. Amputation is the removal of a limb or digit because of external trauma, like a car accident or fall, or because of a medical emergency, like a bacterial infection. Many amputations are caused by the spreading of a virus that must be (and can only be) stopped by the removal of a limb. Disfigurement is scarring or permanent damage done to bone or soft tissue, such as ligaments, skin, fascia or muscles. This could be outward damage like scarring or burns, or it could be inside the body in the form of nerve damage and present as intense pain or numbness. Both amputation and disfigurement are categorized as “catastrophic injuries,” which require lifelong rehabilitation and will likely always affect the patient in some fashion. Road rash: Sliding on pavement at high speeds or being hit by an air bag during a car accident causes skin peeling, burns and abrasion. Dog bites: A dog’s owner would be responsible for any injuries and scarring that result from a dog’s attacking of a human. Fires/hot liquids/chemical burns: All of these can potentially cause severe disfigurement and require plastic surgery to fix. What makes amputation or disfigurement cases different? The extensive nature of these injuries and their lifelong implications indicate how much an amputation patient will be paying in medical bills. That’s not even saying how much it will cost to pay for continuing care after surgery and rehabilitation. This patient will need physical therapy, medications, medical equipment, doctors’ visits and much more over the course of his or her lifetime. Enjuris tip: See How Damages are Calculated to get an idea of all the expenses you may want to take into account when coming up with a figure for settlement. Additionally, the facts of an amputation and disfigurement case are usually quite complicated. There will be far more medical testimony than a normal case, and the insurance companies involved will have mountains of material through which to sort. Depending on how many parties are named, proving fault could be a battle in itself. Many amputation cases also require naming third parties, such as when machinery was involved that was defective in its safety warnings. These types of cases are a strange blend of personal injury and potentially medical malpractice (if the injury was caused in a hospital or by a doctor), motor vehicle cases (if the injury was caused on the road), workers’ compensation law (if the injury happened on the job) or product liability law (if the injury was caused by faulty machinery or a bad product), among other types of cases as well. What laws exist in Colorado relating to amputation and disfigurement? Colorado is a modified comparative fault state. This means that if you are more than 50% responsible for your injuries, you will not be able to recover anything in your settlement. Additionally, if you were 10% at fault, your damages would be reduced by 10% -- so for example, if your settlement was $1,000, you would receive $900. Non-economic damages are for losses like pain and suffering, loss of companionship, emotional trauma and loss of quality of life. For accidents after January 1, 2008: $468,010, which may be increased to $936,030 by the court upon a showing of clear and convincing evidence justifying the increase. These differing amounts are adjusted for inflation since the Colorado damage cap was put in place. These lawsuits take a lot of mental preparation, and you will need to be in a place where you can handle it. Your lawyer will need you to participate on some level, though he or she will be doing most of the work. If you need to preserve the claim because of the statute of limitations but aren’t ready to pursue it yet, have an attorney – any attorney – file the necessary paperwork in order to protect your rights. To pursue the claim, though, you need an expert. 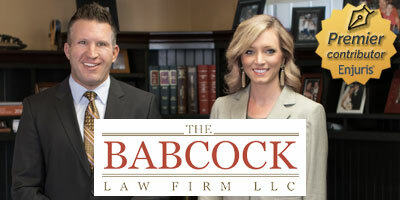 You want a Colorado lawyer who specializes in amputation and disfigurement law; a personal injury attorney would overlook some key aspects, because they just don’t come up in normal, run-of-the-mill cases. Have a friend or loved one help you gather the relevant evidence that will help your attorney. While your lawyer will handle the investigation, whatever you can provide will assist with the inquiry. This includes medical records, bills, outstanding expenses, police reports and whatever other documents you have. Once you have determined liability and how much compensation you are owed, you can attempt settlement with the defendant’s insurance company. If you can reach a settlement out of court, then everything ends on a happy note. If not, then you may have to proceed with a lawsuit. If you haven’t chosen an attorney, look through the Enjuris directory of Colorado personal injury attorneys for assistance.